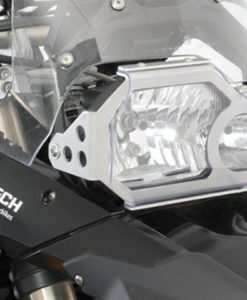 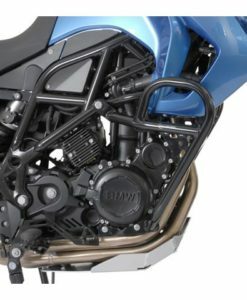 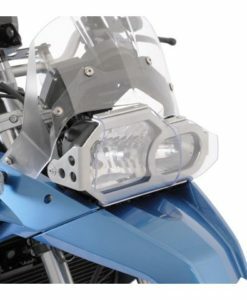 SW-MOTECH Bash Plate/ Engine Guard for F650GS/700GS /800 GS shields the exposed underbelly of your motorcycle. 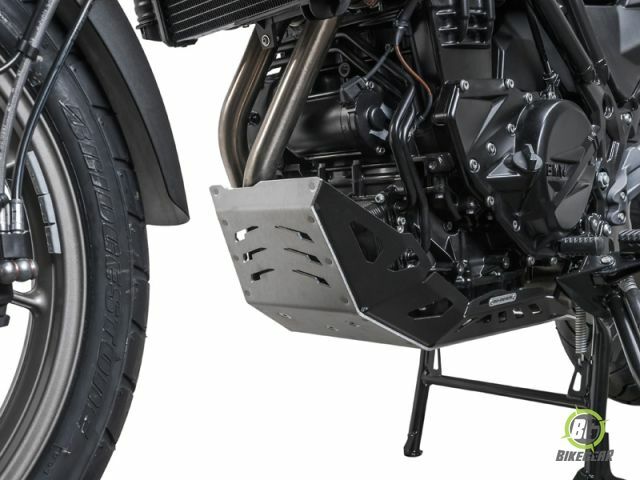 SW-MOTECH Bash Plate/ Engine Guard for F650GS/700GS /800 GS/800 GSA shields the exposed underbelly of your motorcycle to prevent damage from flying debris with the SW-MOTECH Aluminium Engine Guard / Skid-plate. 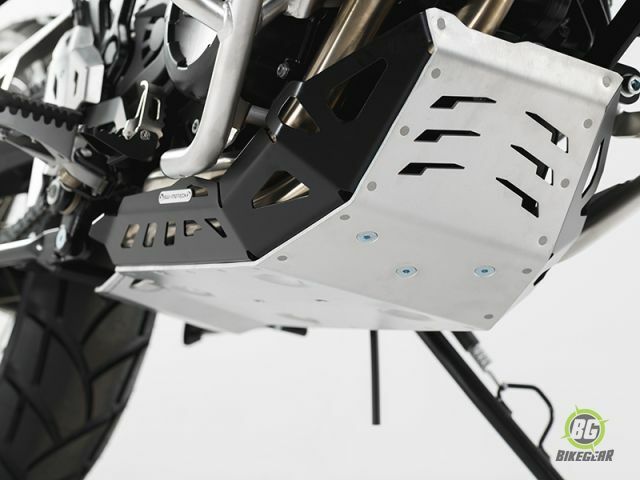 The SW-MOTECH Aluminium Engine Guard / Skid-plate will help protect the underbelly and engine case of your motorcycle from stone chips and debris. 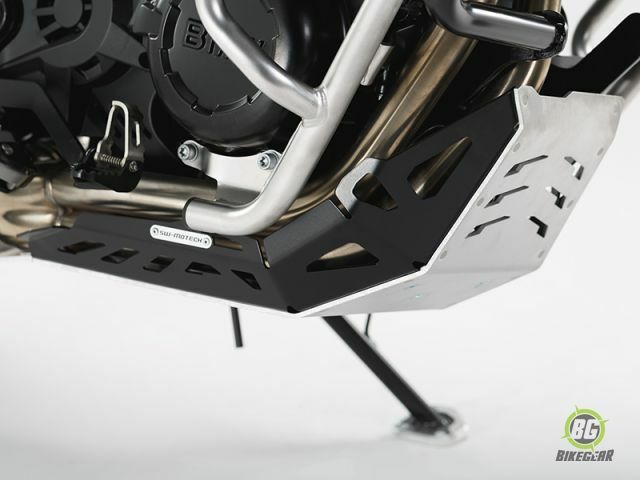 • 4 mm thick under-body plating. 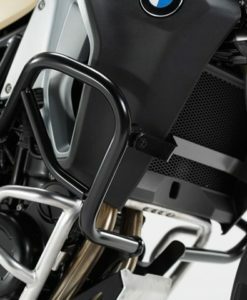 • 3 mm thick black powder-coated side walls. 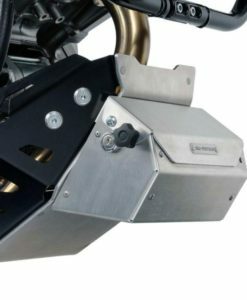 • Cut-out for oil drain screw. 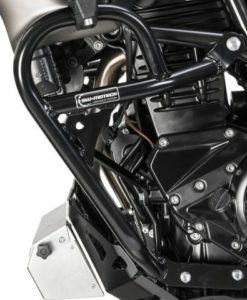 Designed to provide maximum protection to both the vulnerable radiator and body work.Can be used with or without BMW OEM lower crashbar. 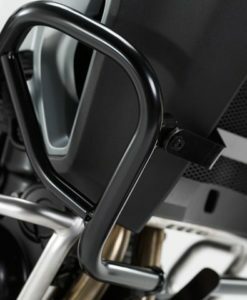 Precision German engineered SW-Motech crashbars for the BMW F800GS /700GS/650GS series ensure a perfect fit, strength & optical integration. 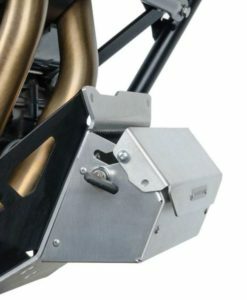 High-strength frame mounting with cross brace. 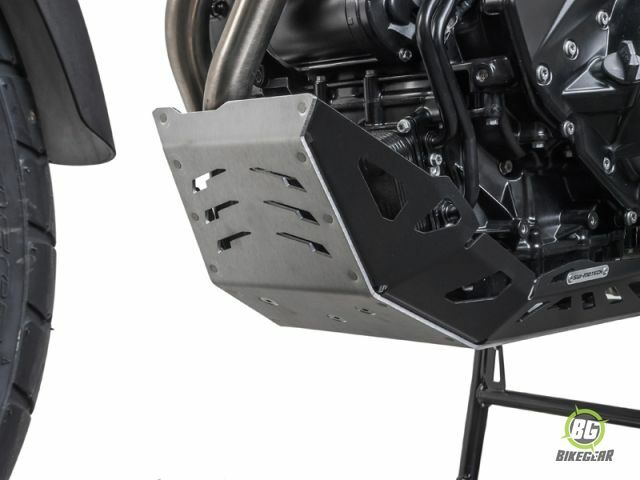 Store the essential tools you may need for your motorcycle adventure in a low, secure, and out of the way location with the SW-MOTECH Skid Plate Toolbox.